Imagine luxuriating next to the Pacific Ocean in this remarkable oceanfront home. Paradise Point is nicely situated toward the end of Vizcaino Court in the Sebastian Shores complex. 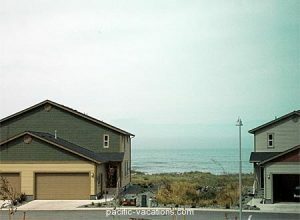 This stand-alone home has an airy, open floor plan with the Master Bedroom on the lower/main floor (with direct access to the deck and hot tub), and two bedrooms upstairs – each with it’s own private balcony with panoramic ocean views. Your personal relationship with the Pacific Ocean begins at Villa Amore. The romantic Mediterranean styled decor and proximity to the Ocean make this Sebastian Shores duplex townhome a unique vacation experience. Villa Amore is tastefully furnished with a European flair and offers many amenities and upgrades – including a hot tub! Ensconce yourself in the pristine wonder of C Shore at Sebastian Shores . 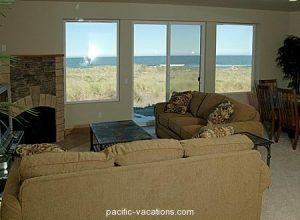 Listen to nature’s melody tickle your ears from your three bedroom, two bath vacation rental duplex townhome. 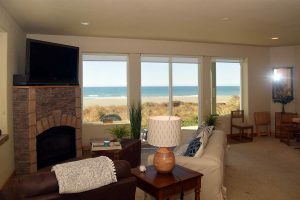 Snuggle in front of the gas fireplace, stroll down to the ocean, or simply spend the time re-connecting with your family in comfortable surroundings near the Pacific Ocean. 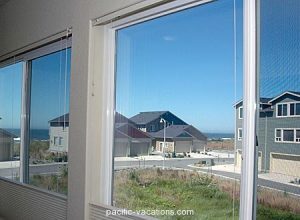 Welcome to Paraiso Del Mar (Paradise by the Sea) – a wonderful townhome located near the Pacific Ocean. Set on a cul-de-sac in Sebastian Shores, this home is just a short distance to the community beach access – just a brief walk to the sandy beach and crashing waves!